What is it exactly about the seemingly symbiotic relationship between New Orleans and New York? As author Debra Shriver’s phrase “New-New” expresses, there is for many a push me pull you magnetism between the two cities. On Thursday in the John Richard Showroom at New York Design Center’s What’s New What’s Next, Susanna Salk (who needs no introduction in these parts) will be moderating a panel on just this subject. 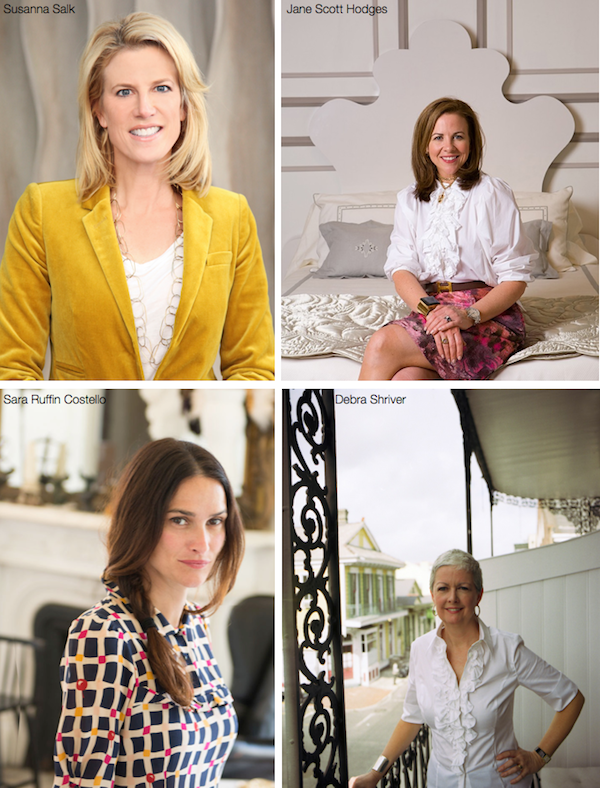 Three chic women in design, all of whom have New-New connections, will be chatting about the NOLA/NYC lifestyle and how each city inspires them. I’m so looking forward to hearing this talented trio of smart, interesting, opinionated women, who will, no doubt, have many entertaining insights to share. 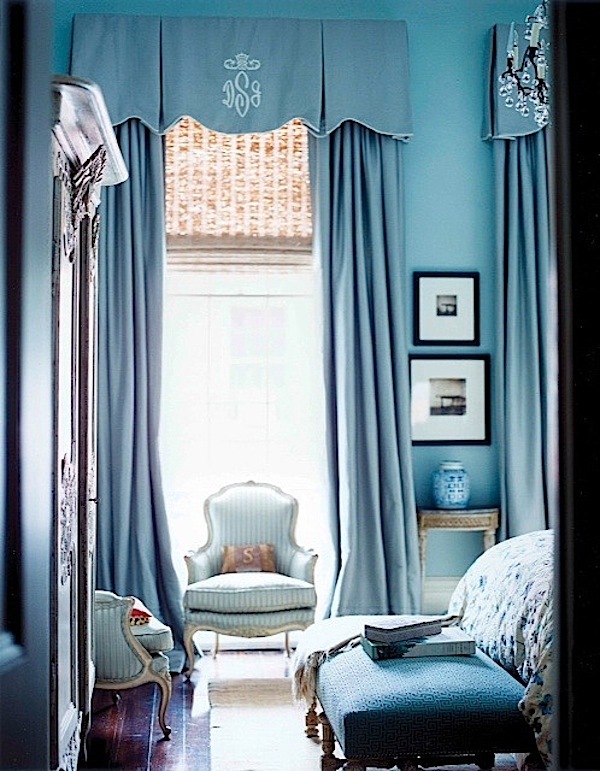 Jane Scott Hodges, owner of the exquisite Leontine Linens, grew up in the south and has the love of heritage in her blood. After attending college in New Orleans she lived there post graduation before moving to New York. But the pull beckoned her back and she and her family now live in the Big Easy where she is currently renovating her home. 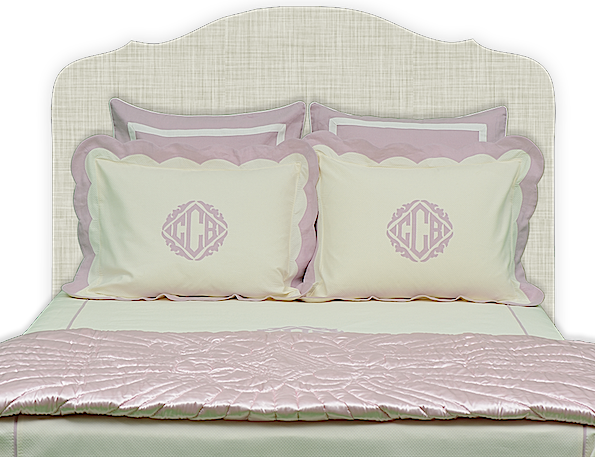 Now dedicated to reviving the art of couture linens for the home, she has made monograms chic for every aspect of modern living. Making your home a personal reflection of your tastes and lifestyle is at the heart of the company’s philosophy and has clearly resonated with a new generation of luxury consumers. The art of the handmade and custom couture is making a comeback and Leontine continues to raise the bar in quality, service and customization. Anyone who has read Debra Shriver’s evocative Stealing Magnolias: Tales from a New Orleans Courtyard knows the author’s love of New Orleans. 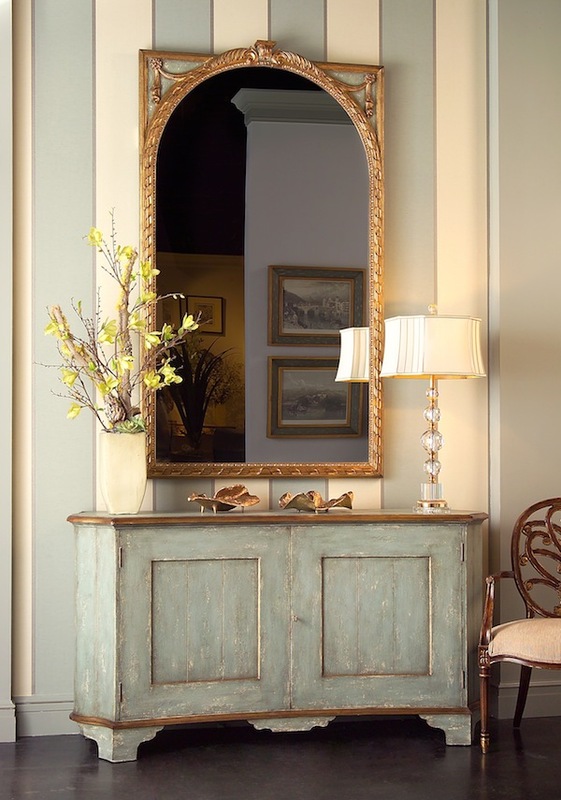 Having bought a house in the French Quarter just three weeks before Katrina, Shriver’s and her husband’s resulting restoration took courage, conviction and a passion which is palpable in the pages of her book. it is also a marvelous sensory tour of all that makes NOLA so irresistible. 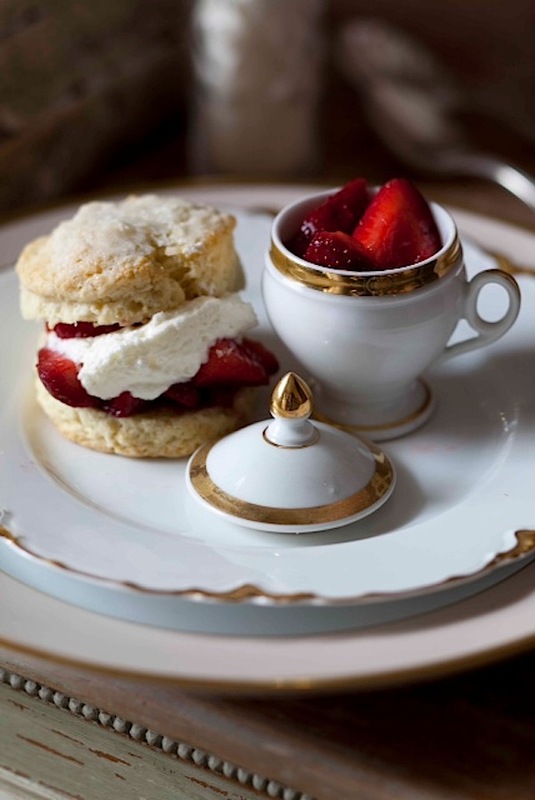 An executive with Hearst by day, this twelfth-generation Southerner is, in addition, a Francophile, jazz devotee and lover of heirloom tomatoes and Greek Revival architecture. Also the author of In the Spirit of New Orleans, her third book will be published next year. Debra is a self-professed “New-New,” who divides her time between New York and New Orleans. Legions of fans of cult favorite Domino magazine may remember Sara Ruffin Costello as the founding Creative Director. She also co-authored The Domino Book of Decorating and over the years has been on the masthead of Martha Stewart Living and Glamour. Having relocated to New Orleans from New York in 2011, she is now a contributor to Vogue, The New York Times T Magazine and the The Wall Street Journal as well as a design consultant. You may have seen the recent spread in Domaine of her 19th century historical manse that inspired her family’s move to the Crescent City. Well that’s what all of us attending are anxious to find out! I encourage any of you in the area to stop by the spacious John Richard showroom at 5:15 for this sure-to-be lively discussion. And while there you can also check out the collection from this Mississippi based company with southern roots whose eclectic offerings conjure up a little NOLA style of their own. This entry posted in design, interior design, travel. Entry Tags: New Orleans, NYDC, What's New What's Next Bookmark the permalink. I will always have fond memories of NOLA after my trip there with BlogtourNOLA. Such a unique place that is, clearly, always offering very classy and unique design. Loved to read about the creative women mentioned above. This is fascinating and I would love to be there. I am so impressed by these creative women. Stacey, your blog always inspires me! Sounds so interesting. All these women are such talented visionaries. I’ve never been to New Orleans, but Debra Shriver’s Stealing Magnolias resonated with me. I’d love to see the beauty and history that is so compelling in person someday. Beautiful rooms and love the palm frond light! 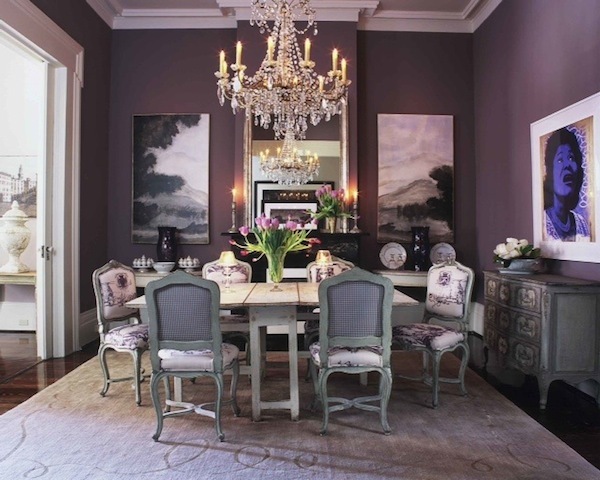 Love all the pictures and particularly the chandlier with palm fronds! The books stacked nest to fireplace looks familiar -I have so many books – bookcases. When I hear the words New Orleans, I always lean in…I haven’t been there yet, but something tells me that when I do go, I may not want to leave. I’ll be picking up Debra’s book soon to get more of a taste! This is a panel I would have loved to have seen!!! All 3 ladies are full of Southern style and talent. 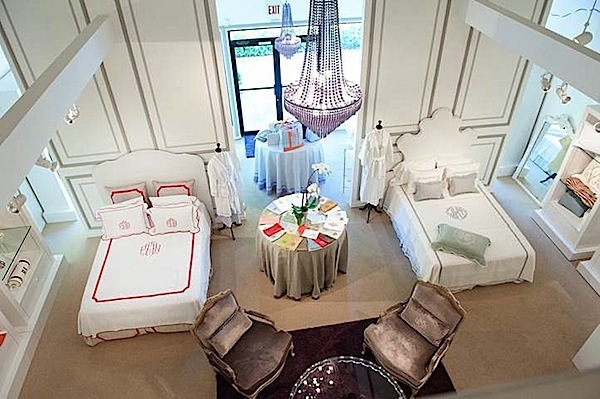 As a long time fan and customer of Leontine Linens, I would love to some day meet and thank Jane Scott Hodges in person!! A great post, Stacey … I’m a little late to the party here, but no less enthusiastic! Julia Reed is of course another prominent New-Newer — but honestly I hadn’t made the connection until I read this — I know all those gals! Thank you for enlightening me! Always love reading you. 78 queries in 0.633 seconds.